Tiger Street Football Contest Giveaways! | where and what to eat lah? Tiger Street Football Contest Giveaways! Now, what exactly is Tiger Street Football all about? And how can you win those exclusive Tiger Premiums? Read on to find out! Tiger proudly presents Tiger Street Football - the edgiest football celebration to ever take place on the streets of Malaysia! This international street football festival has been touring Asia, bringing the most intense street football tournaments to Singapore, Thailand, Guangzhou, Vietnam and Malaysia. The Tiger Street Football National and Grand Finals will be kicking off this 17 - 18 September at the 1Utama open air car park, and it is going to be nothing short of the most fantastic street football celebration for fans, players and football lovers in Malaysia. The Grand Finals taking place in Malaysia will see the Tiger Street Football champions from each of those countries, along with two professional street football teams from Brazil and Holland battle it out for the top prize of USD30,000 and the coveted "King of the Streets" title. 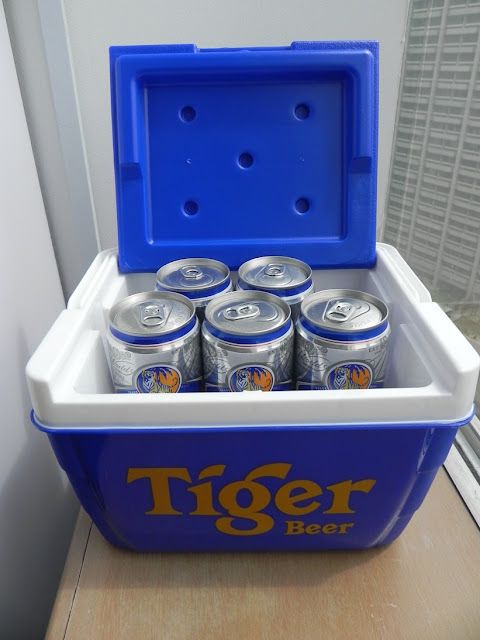 Now, as for the exclusive prizes mentioned earlier, Tiger will be giving away 3 super exclusive Tiger Chiller Boxes containing 3 x 500ml cans of Tiger Beer to you! All you have to do is be the first 3 lucky readers to answer the question below correctly. Question: How many countries in total will be participating in the Tiger Street Football Grand Finals this 18 September at the 1Utama open air car park? Yes, it is really that easy! Post your answers at the comment section below! And don't forget to leave your email address so that I can get in touch with you. Good luck! This contest is open to all non-Muslim readers aged 18 year-old and above. The first 3 comments posted with the correct answer and email address will be selected as winners. The contest duration is from 22 - 29 August 2011. The prizes must be redeemed at the Tiger Street Football registration station on the 17 or 18 September at 1Utama (Car park next to TGIF). Prizes may not be redeemed for cash. Guinness Anchor Berhad reserves the right to cancel, modify, suspend or delay the Contest in the event of unforeseen circumstances beyond its reasonable control.